The French authorities didn’t want to know and had made no preparations. Some women and children were allowed in on that same night, and then between 5 and 9 February all the “Reds” (so-dubbed) were admitted as “foreign undesirables”. This designation meant they could be imprisoned legally. 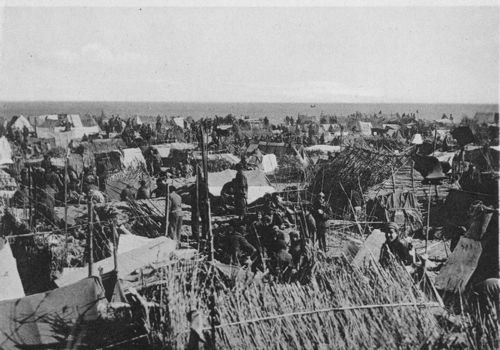 Women and children were initially sent to accommodation centres and about 60,000 men were herded into internment camps on the beach at Argelès-sur-Mer. Their only welcome was barbed wire fences, ’Gardes Mobiles’ (a special branch of the gendarmerie) and brutal Senegalese troops. 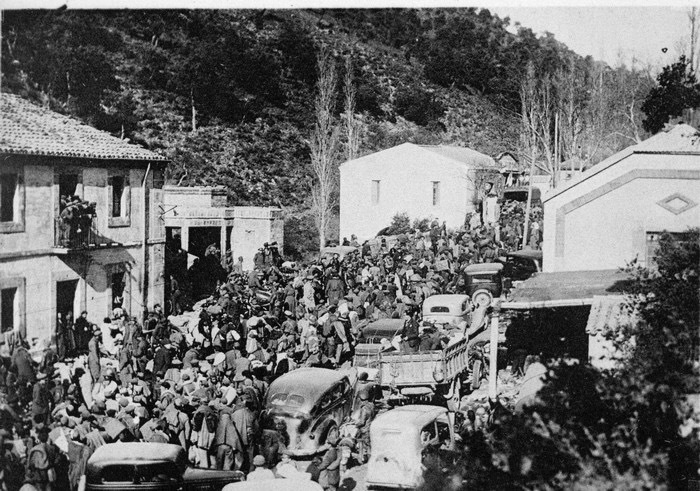 Similar internment camps soon followed at St Cyprien and Le Barcarès. I will spare you the details of the unspeakable squalor of these camps, where an estimated 15,000 died of dysentery and related diseases. Graphic words and images of the rat-infested conditions there do exist if you want to search on Google but be warned! – you will need a strong stomach. 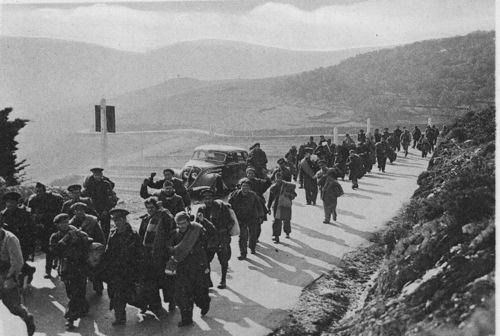 The exiles (the men separated from the women and children) were later moved to designated “concentration camps” spread over the South of France: to Bram (west of Carcassonne), Agde, Vernet in the Ariège – and Rivesaltes where they were to be joined after the German occupation (from May 1940) by other undesirables including East European Jews and “gypsies”. A few Republicans were taken in by mercifully kind French Catalans. Some managed to emigrate to South America and elsewhere. 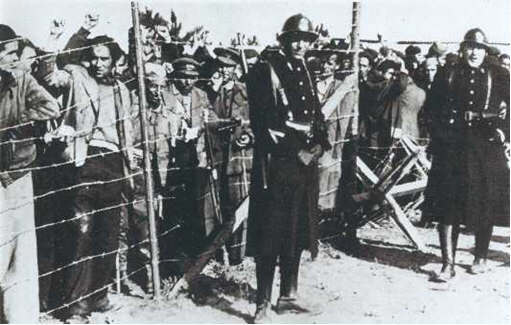 Others went back to Spain, voluntarily or otherwise – often to suffer persecution, prison or death. The majority of exiles, however, were conscripted into “Squads of Foreign Workers” (unpaid) or the Foreign Legion. After the German occupation, the repression of the exiles intensified and thousands of them were exterminated in the Nazi gas chambers – especially at Mauthausen. Many surviving exiles, however, in spite of their treatment, volunteered to join the French Resistance and contributed substantially as “Guerilleros Espagnols” to the Liberation from 6 June onwards in 1944. On 15 March 1945 the exiles were finally granted the official status of Political Refugees. 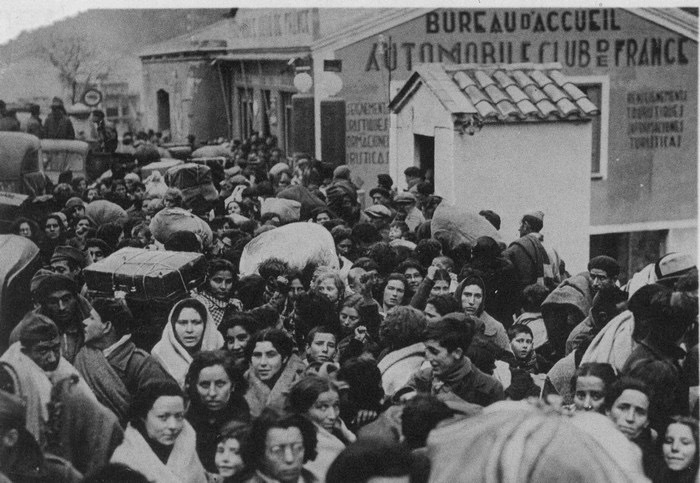 A third of the Languedoc-Roussillon’s present-day population are descendants of these Spanish refugees. Figueres in Spanish Catalunya – about 25 kilometres south of the French border – was the last Republican stronghold and seat of government after the fall of Barcelona. 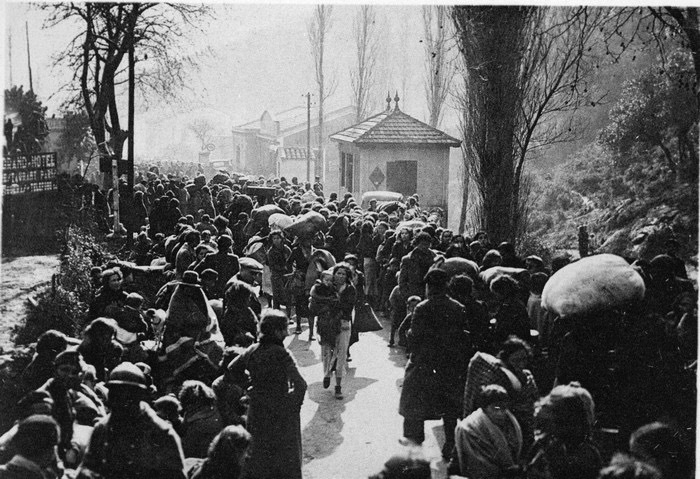 In late January/early February 1939 it was bombed relentlessly, leading to hundreds of casualties and endless processions of fugitives making for the French border. One such fugitive was Emilio Genover who ended up in the camp at Argelès. His wife Maria was left behind to bring up alone her three children with no money and scarcely any food. At the age of 99 she recorded her story of how war broke out on a peaceful Sunday afternoon. She and her family spent years living in terrified poverty under a hail of bombs and running from one makeshift shelter to the other. They were penniless and often starving. Fortunately her story has a happy ending. She and her children were eventually reunited with Emilio in France, where they made their home. Here is a transcript of part of an interview with Senora Genover, her own story, taken from a recording she made in 2004, which formed part of Elmediator’s exhibition in Perpignan, Retirada 1939-2009: Paroles d’Images. And so this family, unlike many others, was eventually re-united in France. Madame Genover died a few months after her 100 birthday. Take a walk in the footsteps of the Retirada on the ’circuit de la Mémoire’. Unveiled in 1999, this monument marks the entrance to the camp in Argelès-sur-Mer and honours the Spanish Republicans imprisoned there from February 1939. Marks out the borders of the former camp. 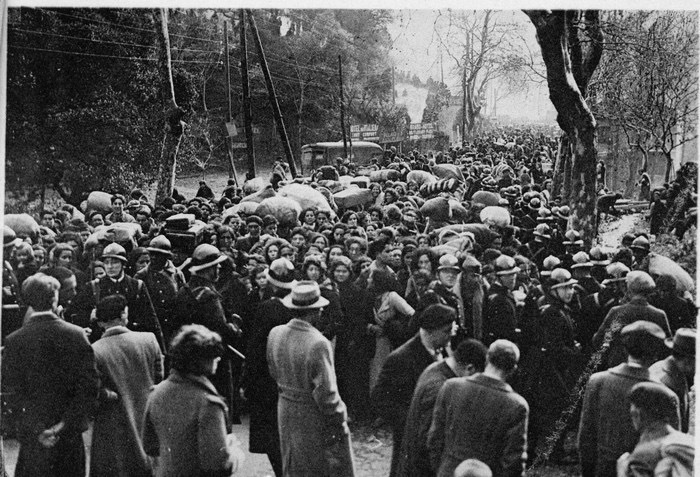 From the opening of the camp in February 1939, many deaths were recorded. A private land owner handed over a plot of land to the Mairie to be used as the camp cemetery. It was later flooded and destroyed by the terrible floods of 1940. Today, all that is left is a stone put up in the 1950s, engraved with the names of those who died in the camp during their internment, and a tree dedicated to the 70 children aged under 10 who also died in the camp. At Chateau Valmy, on the first floor of the espace Jules Pams, is a permanent exhibition and reminder of this dark period. Divided into two zones symbolizing Spain and France, large panels explain the Civil war in French, Spanish, and Catalan with maps, interactive timeline, and an interesting look at the way in which the media covered this highly publicized conflict.